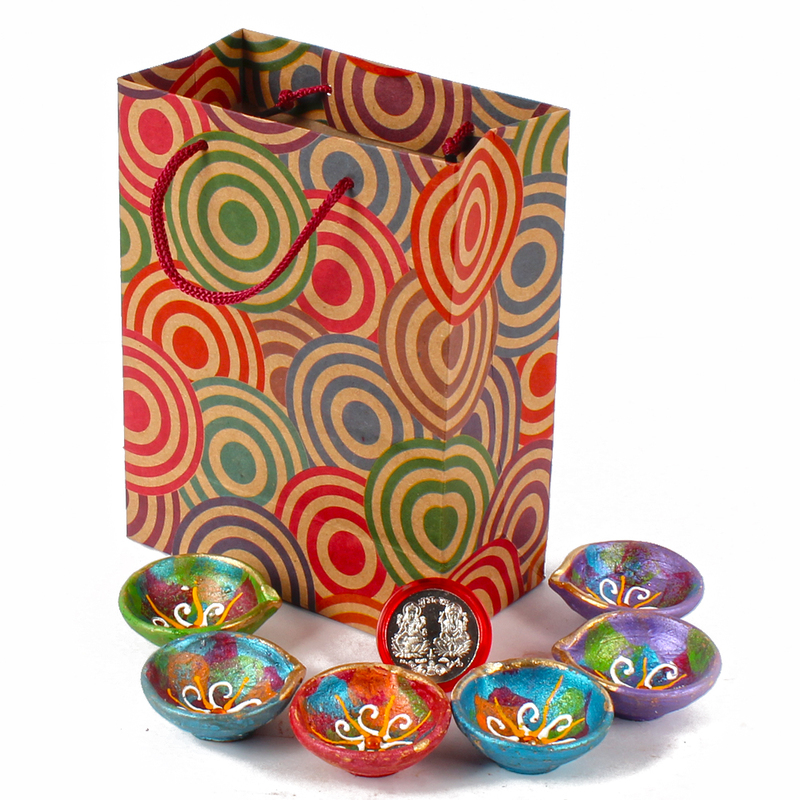 Product Consists : 6 Earthen Diyas Set alongwith Silver Plated Lakshmi Ganesha Coin altogether arranged in a Gift Bag. 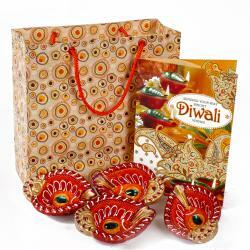 Diwali is the festival of lights happiness and togetherness. Let this Diwali bring the most happiness in every ones life and the light of Diya shows us better way. 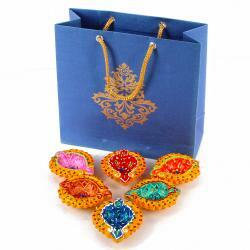 Gift this exclusive Diya gift to your loved one and wish for their successful life. The diya increases the overall charm of your house. 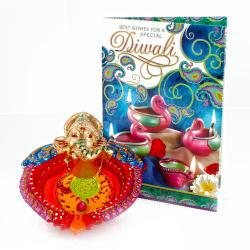 Without Diya, Diwali occassion is incomplete so its a Perfect Diwali gift for Family or Relatives or for Friends. Silver plated Lakshmi Ganesha coin for Good luck wishes. alongwith this send Earthen diya with Diwali wishes card and Express your heartfelt wishes for your loved one on the auspicious occasion of Diwali. 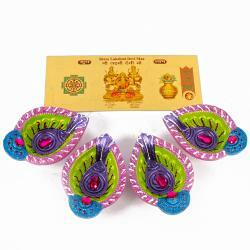 Product Includes : 6 Earthen Diyas Set alongwith Silver Plated Lakshmi Ganesha Coin altogether arranged in a Gift Bag.